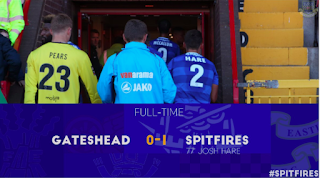 Eastleigh made it three wins and three clean sheets in a row with a 1-0 victory at Gateshead courtesy of a Josh Hare goal. 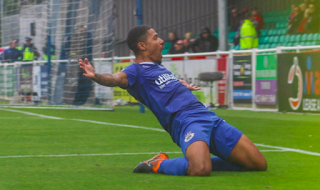 Max Stryjek saved a penalty on his debut in goal for Eastleigh and a last minute winner from Alex Wynter earned the Spitfires all three points against Dagenham and Redbridge. 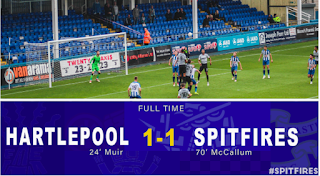 Paul McCallum was on the scoresheet for Eastleigh to end the Spitfires' goal drought and help secure a 1-1 draw away at Hartlepool. 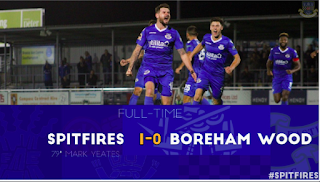 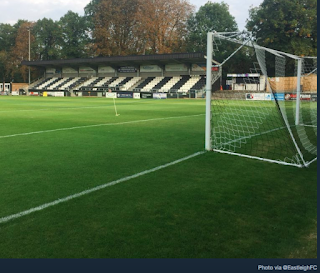 The Spitfires kept a clean sheet in a stalemate at the Silverlake Stadium as Eastleigh and AFC Fylde played out a goalless draw. 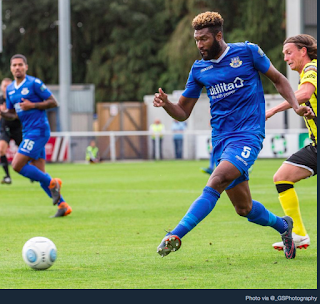 A Josh Kelly double at the end of the first half helped Maidenhead to a 2-0 victory over Eastleigh on Tuesday night. 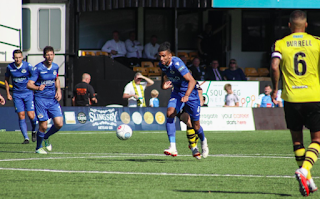 Eastleigh suffered a 4-0 defeat away at Harrogate.